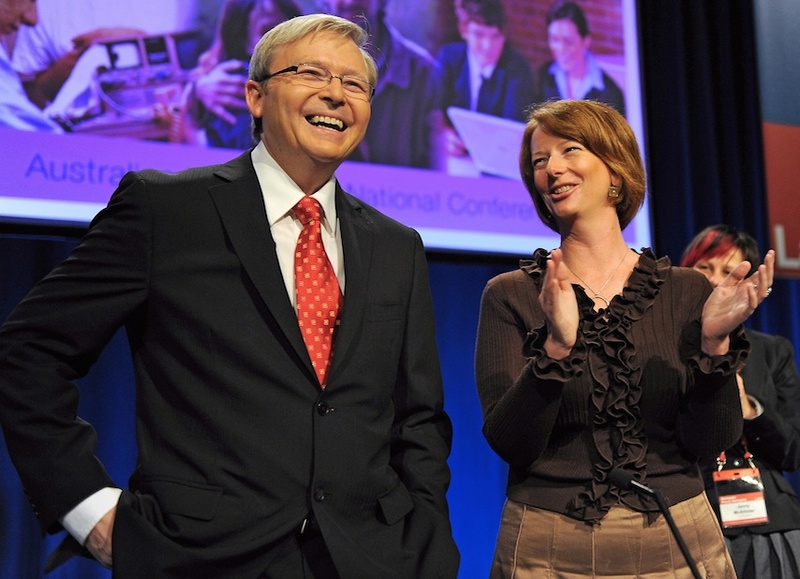 Kevin Rudd was born in 1957 and raised in regional Queensland on a rented farm. His father died in a car accident when he was 12, resulting in their family being evicted from the farm and leaving his mother to raise him and his three other siblings by herself. Just an average student up until this time, something ‘clicked’ and he excelled as his studies. He found himself doing a BA in Asian Studies (with honours) at ANU, where he met his soon-to-be-wife, Thérèse Rein. 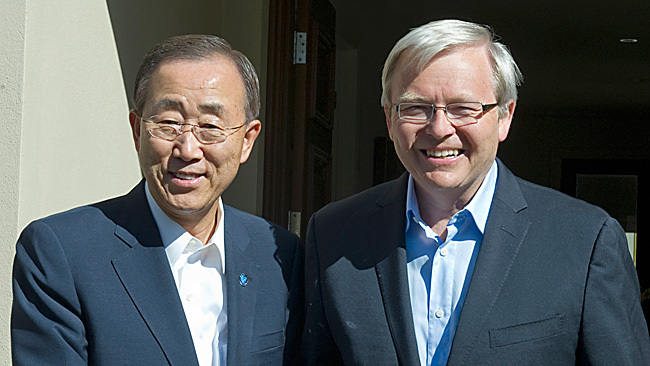 After university in 1981, he worked in the Department of Foreign Affairs, assisting various diplomats in several countries (including China), until entering politics in 1988 as the Chief of Staff for the Queensland state opposition leader, who eventually became Premier. In 1998 he became a minister of federal parliament and in 2001 was promoted to the shadow cabinet as the shadow foreign minister. In 2006 he became the federal opposition leader and was elected as Australia’s 26th Prime Minister in 2007. A progressive leader, he enjoyed some of the highest approval ratings of any Australian Prime Minister and helped Australia avoid recession during the Global Financial Crisis in the late 2000s (the only Western country to do so). Despite being popular with the public, he was unpopular within his own party. He was was replaced by his deputy (Julia Gillard, picture above) and demoted to Foreign Minister for a time, before being demoted again to the backbench after making a failed attempt to regain the leadership. However, he later successfully regained the leadership and became Prime Minister again, but lost in the subsequent election to the conservative opposition and retired from politics. He is now a senior fellow at Harvard University, where he is part of a research group studying US-China relations, and a distinguished statesman at the Centre for Strategic and International Studies in Washington. This very brief summary doesn’t even scratch the surface of his busy life and achievements. In the next post, I’ll focus in more detail on his interest and adventures with China and Chinese culture.